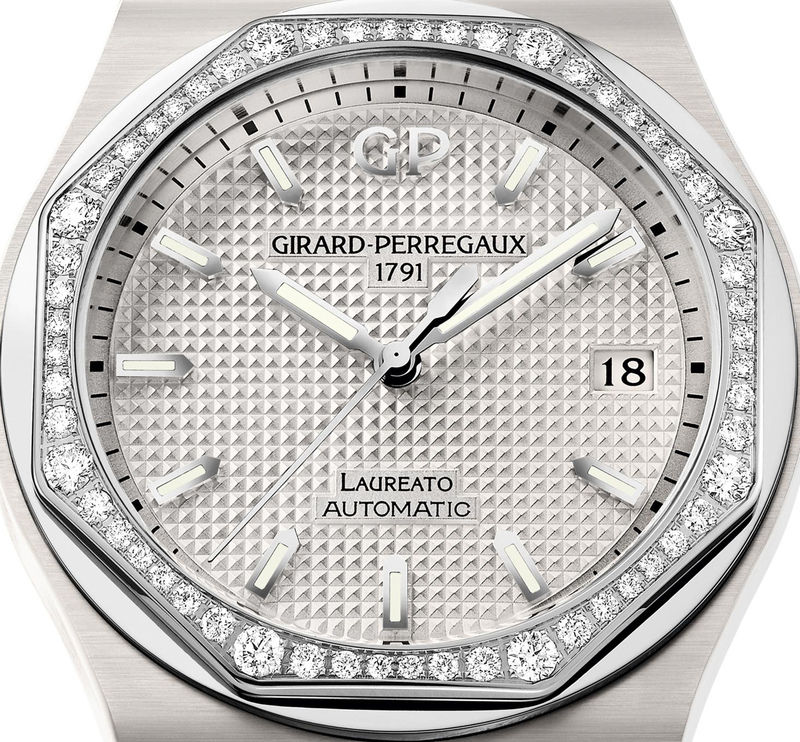 Following the introduction of the all-black ceramic Laureato, Girard-Perregaux doubles down on the hard, crystalline material with the diamond-set white ceramic version. Predominantly a men’s watch until quite recently, the Laureato was conceived by a Milanese architect in 1975, probably in response to the Genta-designed luxury sports pioneers like the Royal Oak and Nautilus. 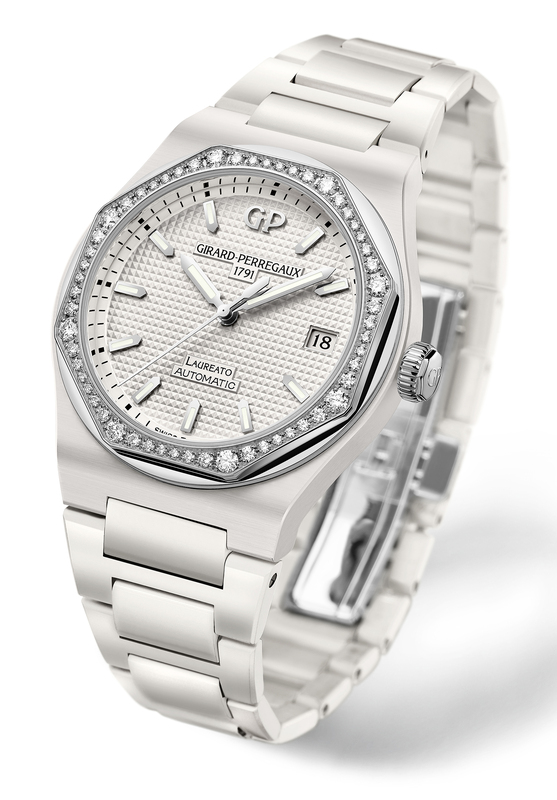 Dormant for a couple of years, the collection was relaunched in 2017 for the 225th anniversary of Girard-Perregaux. While the line included ladies’ models from the get-go in 2016, the white ceramic is the first female version in an exotic material. 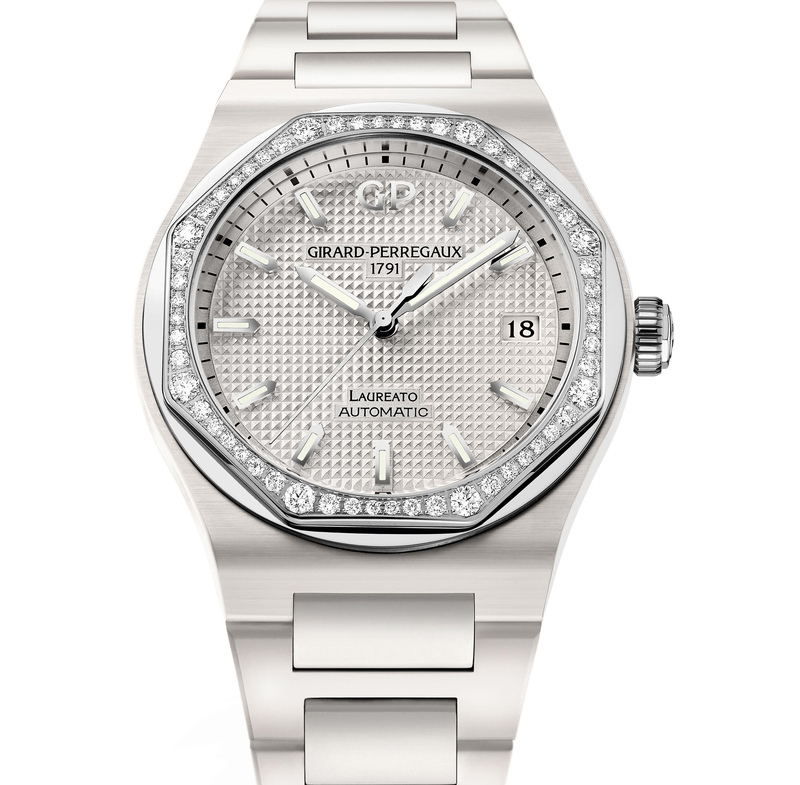 Fifty six brilliant-cut diamonds are set on a steel bezel that’s the signature octagon-meets-circle shape of the Laureato. Like the other iterations of the watch, this has a hobnail dial with a date display at three o’clock, luminous sword-shaped hands and indices. Finished with a matte, linear brushing, the white ceramic case has gracile proportions: 38mm in diameter and 10.17mm high. Rated to 100m, the case is matched with a ceramic bracelet composed of satin-brushed, H-shaped links along with polished central links. The watch is powered by the in-house automatic cal. 3300, which beats at 4Hz and offers a 42-hour power reserve. Pricing has yet to be announced, but the men’s model in black ceramic costs SFr16,300, expect this to be a bit more.